In 2015 I needed to take a break from running. I had recently finished an ultra race dragging my right leg for 17 miles. I had no more cartilage in my knee and was warned by an orthopedist this was coming. I was devastated as trail running was my life at that time. My significant other Justin suggested I try mountain biking. I had ridden a road bike for 2 triathlons I had competed in and didn't care for it. I was really hesitant but desperate to get back onto the trails. I unexpectedly fell in love with it. Now he is a stage 4 cancer survivor and thought we would leisurely bike around, stopping to take pictures. I took to the more technical terrain immediately. The rockier, scarier the better. I quickly realized I needed skills or I was going to die. That led me to take my first women's only mountain biking skill building clinic over a weekend. Prior to that weekend, I remember thinking, "Where are all the women?" They are everywhere in running. I was equally dismayed with the lack of choices in women's apparel. I set about finding the women. After attending the skills clinic I started working with a local bike shop to set up maintenance clinics and rides. At the same time, I created a Facebook group to meet other women to ride with. All I could think is there has to be more women out there being the only girl in a group of guys riding. Not to mention the more gravity style riding you get into the less frequent they become. Well, I found them. What was just me and maybe 3 other ladies in the group has grown to almost 700 members around the world. I am amazed at the women riding in places like Singapore, Philippines! I get so incredibly happy when one of those women posts about how excited they are to find other women in mountain biking. My goal is to grow the presence of ladies in the sport so we have the same choices as the male riders. In addition to supporting and encouraging women in a sport that requires quite a bit of skill and guts. Women are truly badass and I want to show them off. At the beginning of 2017, I met Paige Ramsey. I wanted to hold skill-building clinics for women as well since skills is such an important piece of women staying in the sport. I started holding clinics for her to coach at. At the same time, I would learn alongside all the participants. I decided to get my IMBA ICP Instructors Certification to assist in the clinics. I am now Level 1 and Level 2 certified. I also entered the world of Enduro Racing this year. I like racing because I like goals. Knowing you have a race coming up gets you out and exercising. Well, no surprise that there isn't a ton of women racing. For example in the California Enduro Series, in the beginner category, the men will have over 30 participants and the women are around 5. By the end of the 2017 season, I encouraged a friend to race which has set the tone for next year. I want to encourage and support women to try racing. I intend on providing support from pre-ride to race day while racing alongside them. What started as a Facebook group has now become a company. We have a website with an online forum for women to connect with other riders around the world. We hold clinics, retreats, and rides. We post articles, podcasts, and videos to provide support and occasionally make fun of ourselves. I have a YouTube channel I started some time ago. 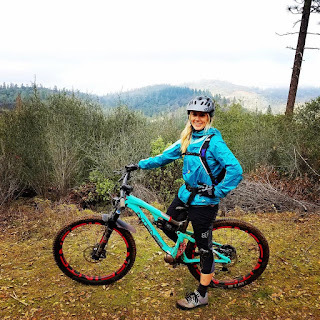 I provide the female perspective of trails to help others who want to see what the trail is before riding. I also keep in my crashes because that is real riding. I leave in my scared moments too. Because we all have those. I had been told by an orthopedic surgeon that I had very little cartilage left in my knees. I was devastated to hear my addiction to running would soon be ending. I couldn’t imagine what I was going to do with my life without running. Despite doctor’s advice I ran a 50k and had to drag one of my legs for 17 miles. I decided I better take a break. My significant other suggested I rent a mountain bike and ride with him. I was hesitant because I did not enjoy road riding. I rented a Trek Lush from a local shop and went for a ride. I unexpectedly fell in love with it. I really liked that I could still be out on the trails. I found it super fun to try to ride over rocks and was grinning on all the descents. I decided to buy a mountain bike and the rest is history. I immediately gravitated towards the downhill fun. However, I quickly realized if I don’t get skills I am going to die. I was riding places I should never have ridden as a beginner. I crashed a lot but I am extremely stubborn and will not give up until I master something. The constant challenge and thrill when I overcame a fear to ride through an obstacle was how I knew I had found my next passion. Flats all the way! I knew right from the beginning that flats were for me versus clips. I am really uncoordinated and could barely handle switching gears while trying to navigate the terrain. This was one of the reasons I always shied away from cycling. There was way too much going on to have a good time. Wearing flats versus clips was one less thing to worry about. Then when I became a coach I was very glad I learned in flats. It really pays off in skill building. I have had some spills but nothing major. I flew off a cliff recently and I always wondered what that would be like. It’s a surreal moment of seeing sky then dirt repeatedly until you stop. I tend to analyze my crashes. I want to know exactly what I did to contribute to it. Was I too far back and washed out the tire? Did I space out and not have enough pressure in my feet? I do that so I can learn from each crash and hopefully not repeat it. When I first started riding I hung out (and still do if I am scared) in the backseat. I was a get back and hope for the best kind of rider. When I met Paige (MTB Experience’s Skills Program Director) she quickly pointed that out. This is why skill-building clinics are so important. To have a coach watch you all day and point out what is most likely a reoccurring theme in your riding is extremely beneficial. It’s safe to say it is probably one fundamental you are not fully grasping that is holding you back in many aspects of your riding. High-Speed Cornering. I still don’t own that skill. I rent it, meaning it is inconsistent. I realized when I raced this year that in order to not lose time in the corners I had to pedal like mad in other places to make up for it. That seems super inefficient! It is a constant work in progress and I am determined not to let corners slow me down. It allows me to get away from my busy life and focus on only what is in front of me. I love seeing the progress of riding. I feel like you can never plateau on a bike. There is always something to work on or towards. I attended my first women’s clinic in November 2015. I was so excited to meet other women in mountain biking. After that, I partnered up with a local bike shop to hold a maintenance clinic for women. I started the Facebook group to find other women to ride with as well. I was introduced to Paige Ramsey, a local coach, through that bike shop. I told her I will bring her the women if she would coach them. I did that and would throw myself into the rotation to learn from her. We kept working together and I became certified as an IMBA Level 1 and 2 ICP Instructor so I could back her up at the clinics. I turned the Facebook group into a company and added the website. The name was originally Women’s MTB Experience and I dropped that to include all genders. 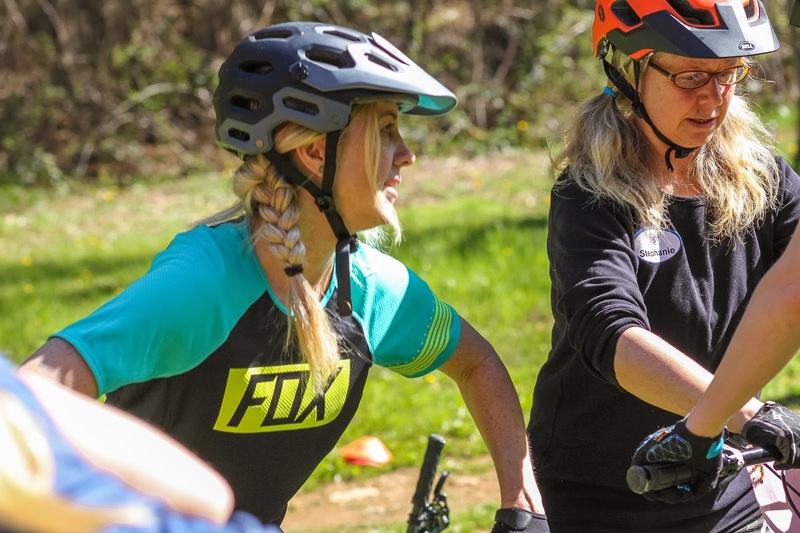 We still kept the Women’s MTB Experience title on the group and our main focus is women but we wanted to not exclude men from what we offer as well. 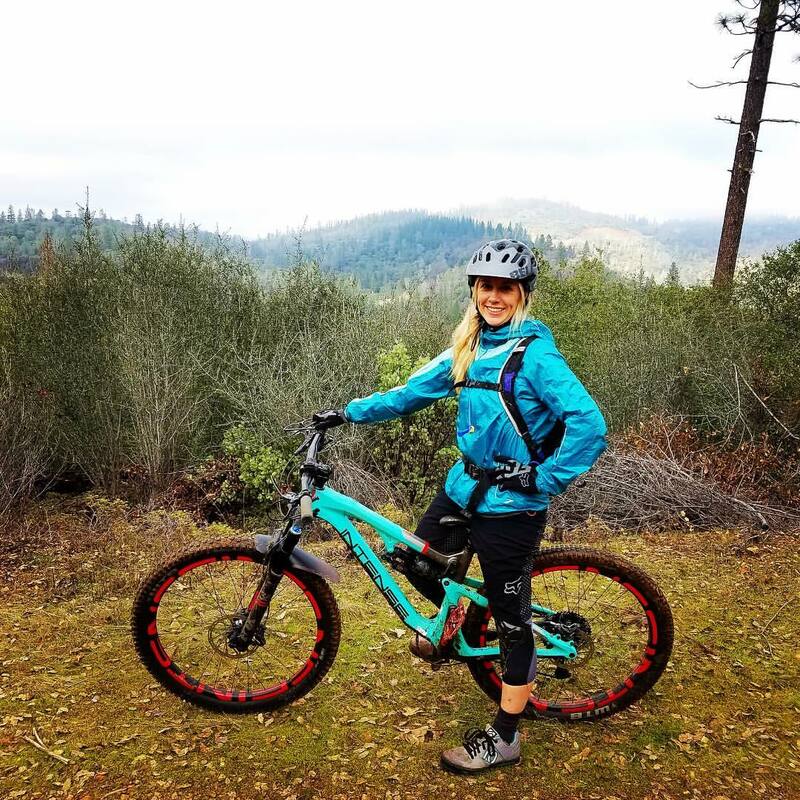 We added podcasts, youtube videos, an online women’s forum and lots of social media interaction so we could truly bring that entire mountain biking experience to women. I love the posts about shoes, saddles, struggles with certain skills etc. Although my favorite was when I was having certain body parts fall asleep on long rides so posted it up. I was not alone and many other women were quick to chime in- omg me too! I thought it was just me! Oh and no judging allowed. If a member posts a video of them going over a tiny rock- we all cheer- no negative comments about form or easy terrain allowed. However, if someone asks what they are doing wrong we will try to help. What has been the biggest challenge with creating MTB Experience? What has been the greatest success? Can you share some information about your clinics? Why do you feel women-specific clinics are an important asset? MTB Experience holds skill-building clinics for all levels in the Auburn area during the winter and fall. We are coaches for Woodward Tahoe and the Specialized Academy at Northstar, California as well. 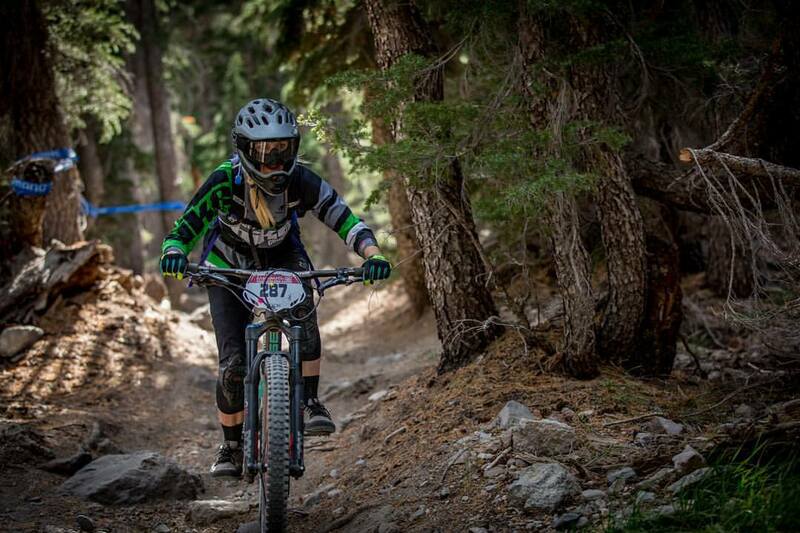 At Woodward, we hold clinics for women and will be coaching a girls MTB camp in the summer. At Northstar, we are coaches for the Friday night Pumps on Pedals and two women’s only weekend clinics. I think any clinic, co-ed or women only, is beneficial. However, women tend to open up more and not feel as intimidated if they are surrounded by other women riders working through the same skills. Women are incredibly supportive of each other in this environment. It is always amazing to see. Lots of cheering going on at all times! Why do you believe in the value of creating a women's mountain biking community for those locally and afar? Since there are not as many women as men in the sport often women are the sole female on a ride. We get many women who say I am so excited to find other women to ride with! We all enjoy riding with men but it’s nice to change it up and ride with women as well. The reason we have a community that is worldwide is we provide support to the lone MTB girl wherever she is and hopefully find her other riders to ride with! I think that is one of the things that impresses me the most. Locally we have found the women but can you imagine taking up mountain biking in the Philippines or Japan where it is even more rare to see a girl mountain biking? We have found those girls and they are the true badasses of this sport. I have an Intense Recluse and a Norco Magnum for dirt jumping. I just bought a DVO fork for a downhill bike I am building up before next season. I got the Recluse when I was an ambassador for Intense. I was lucky enough to ride a few bikes in the year I was with them. I got the Recluse before it was made public. I knew it was one I wanted to own. It’s the Elite model so has all the good stuff. I feel pretty lucky to have it. It’s an amazing Enduro bike. I recently had the fork custom tuned and it is so good right now! Well, we didn’t think we would do a team this year since we didn’t solicit any sponsorships. However one of our members who moderates our forum convinced us to do it anyway. One of the reasons I wanted to do a team was not to win but to provide support and encourage other females to try it out. Well, we don’t need sponsors for that. Within one day of posting, we are putting together a team for the 2018 California Enduro Series we had 12 women signed up! I received the nicest messages regarding the team. Women who had been scared to race felt they now had a support group to be a part of. We are going to make it fun and post stats about each rider that aren’t race stats. Stats that make each of them unique. We had one rider ask if she could continue to wear her cotton t-shirts to race in as opposed to a team jersey. I told her of course you can. You be you, this is what this is all about. Any tips or suggestions for those looking to participate in their first race? JUST DO IT! I like racing because I enjoy working towards a goal. If you have a race coming up you will get on your bike and practice. You will get long rides in or force yourself to go down terrain you wouldn’t normally go down. For us non pros, it is not about podiums or sponsorships- it’s about pushing yourself to be the best you want to be. I am not sure I can speak to cycling in general. As far as mountain biking, I think it is the skill and overcoming of fear that can deter women. Women don’t like to get hurt. Women have an incredible sense of self-preservation. In order to not get hurt, skills must be learned. If a woman goes out with someone that is unable to teach her how to handle tough terrain she is going to be scared and frustrated. Then it is easy to think ‘Never mind. I’ll go find another sport that doesn’t scare the hell out of me.’ I think this is a big factor on why so many women’s clinics have popped up. Women want to be out on the trails but want to do it safely. More choices in the gear, apparel and bikes needed for the sport. This was one of the biggest issues I had going from being a runner to a mountain biker. How come I get 2 choices of colors in flats and my guy gets 10? This is the theme with jackets, gloves, shorts. Don’t even get me started on the non matching kits. In addition, we don’t want pink and purple. Well, some may but that takes us back to having choices. As far as bikes, I don’t want or need a women’s specific bike that has limited resale. How about you make a small bike that would fit a small rider of any gender? This sport is amazing. It is so challenging and fun. You get to be in nature while feeling a bit like a thrill seeker as you ride challenging terrain. The feeling you get when making it through a tough section is like nothing else I have ever experienced. I want other women to experience that same sense of accomplishment. Not to mention it translates into so many other aspects of our lives. Women are inherently badass. They could rule this sport if they wanted to. I was a blogger with a published monthly column for a parenting magazine. I didn’t write about how to make crafts with my child. I wrote about my inadequacies as a new parent. I thought I was funny and so did the editor at the time. Well as soon as she left the more straight-edged editor gave me the boot. I needed an outlet to write which led to my website. This is a great example of when one door closes, another door opens that is so much better.